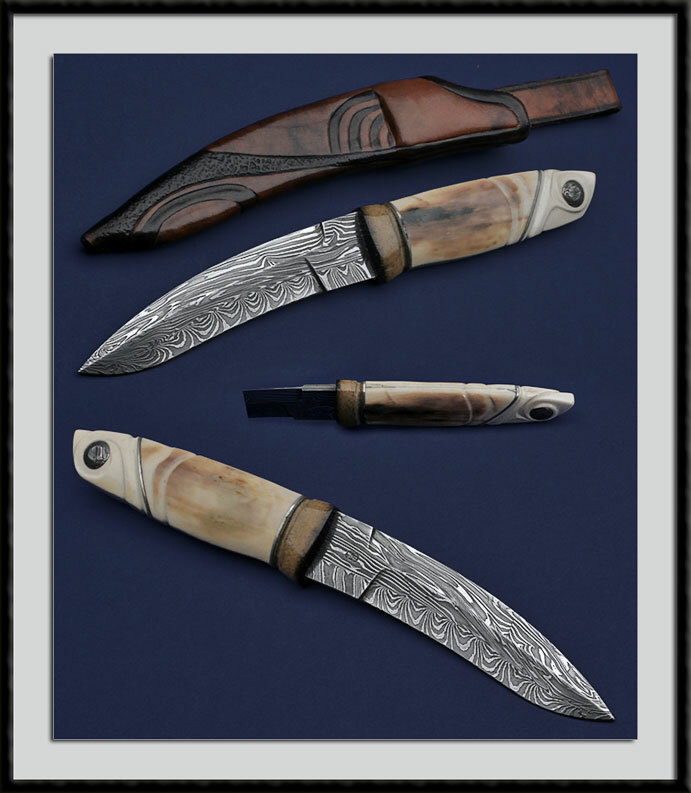 Carved Damascus Fighter by Swedish Craftsman and Knife Maker Andre Anderson, Multi-Bar Damascus Blade made from Uddeholm 15n20 and 20c, BL = 5 1/2", OAL = 10 7/8", Carved Stabilized Mastodon Ivory Mortised Handle accented with an Oosic spacer & Carved Walrus Ivory end cap which has a Damascus Button inlay. Fit and finish are as good as it gets. Comes with the pictured custom tooled sheath which is also made by Andre. Condition is Pristine.